Alcoa Home Exterior Group had invented a new product line that would enable customer to pick one of hundreds of “Dream Colors” with fully insulated siding. This was a big leap in the home siding market; to be able to better insulate your home and dramatically enhance your curb appeal. 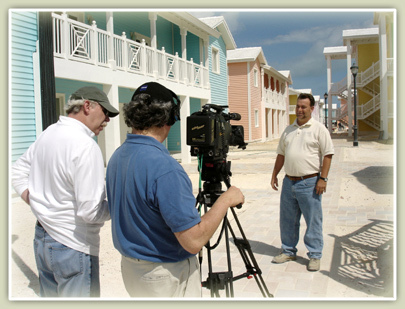 The plan was visionary: utilize multi-media and offer the opportunity for consumers to interact online with a home designer, for a nominal charge, to design the new look they were after, and at the same time refer them to a qualified Alcoa Home exterior contractor to measure, quote, and install the job. Alcoa had been spending $800 per lead to find the classic “hot lead” for their product. They’d grown frustrated with conventional advertising: its costs were prohibitive, and it was unable to calculate the effectiveness of those costs. Simply stated, they couldn’t be sure how well conventional advertising was actually working. Alcoa met with our team and we suggested a comprehensive Brand Response solution. Not a commercial or print ad that would plug “siding for sale,” but a sophisticated marketing program that included a long form infomercial, strong web presence, key dealer incentives, a contractor component, and a sweepstakes to drive consumer interest. This allowed Alcoa to measure their costs, gauge the response, sell their product, and build their brand. Our solution drove leads at a cost of $45 to $50 per “hot lead”—an enormous reduction from the original figure of $800. It allowed them to evaluate their advertising costs and make future business decisions with reliable information. It permitted them to strategically and successfully launch their revolutionary product in new markets. In short, the program proved so effective that contractor organizations ultimately contributed their own money to roll out the program in their respective regions.